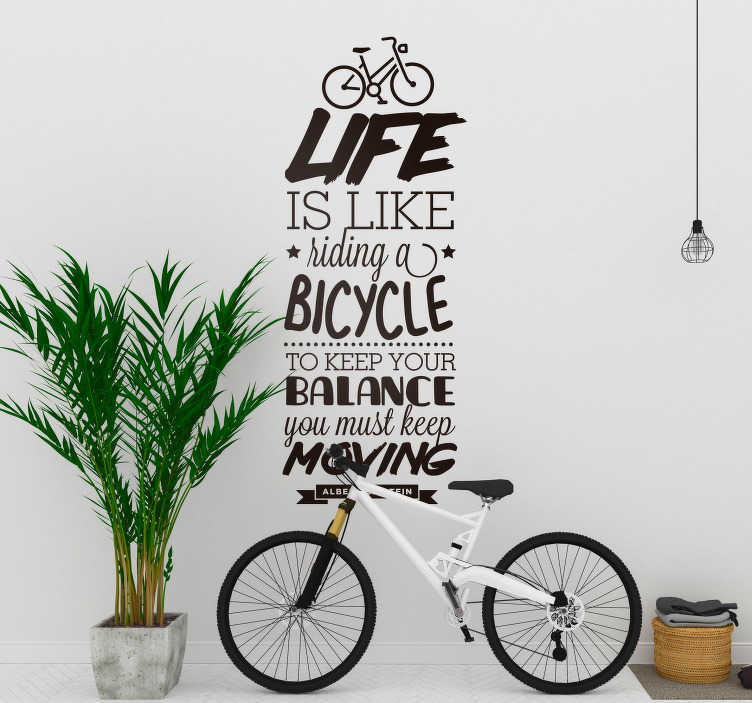 Life is like riding a bicycle - To keep your balance you must keep moving! A superbly salient quote from one of the most intelligent people in the world today - Albert Einstein makes up this brilliant monocolour text wall decal! Ideal cycling themed wall decor for those who just love to ride their bike! The parallels between life and bicycle riding are just undeniable - If you aren´t moving forward you are probably going to fall off!